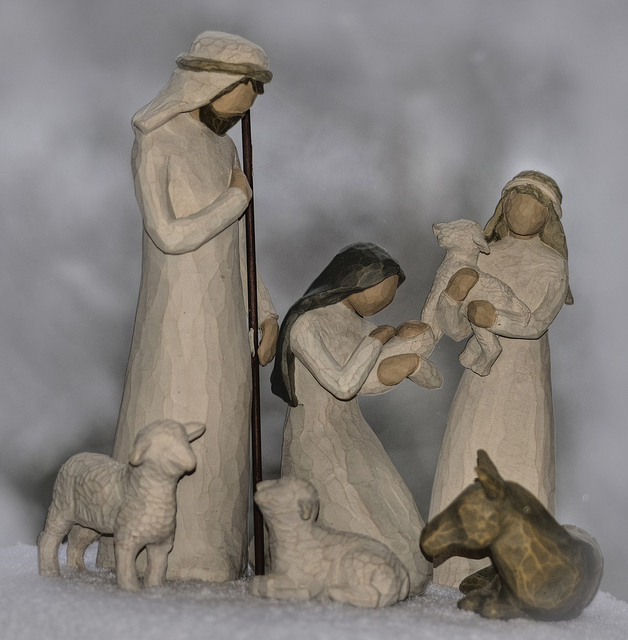 Baby Jesus was stolen from his manger for the third time in four years. Ron Wesselius, a Tumwater, Washington resident, has set up the nativity display near the Washington Legislative Building in Olympia for the past four Christmases. Wesselius, who works in real estate, set up the nativity scene with Mary, Joseph, and Jesus in a manger inside a wooden box. He displayed it near Tivoli Fountain on the lawn of the Washington Legislative Building, an area where displays are permitted. The baby Jesus was stolen sometime on or before December 21, according to state officials. Wesselius replaced it with a baby doll purchased at Goodwill, which was still in place as of Christmas Eve. Washington State Patrol spokesman Bob Calkins said the missing Jesus figure is considered a theft. If a suspect is identified, charges may be brought. Besides writing, R. McKinley loves reading (especially historical fiction and science books), playing piano and flute, being involved in politics and community, working out, enjoying nature, and hanging out with four wonderful cats.